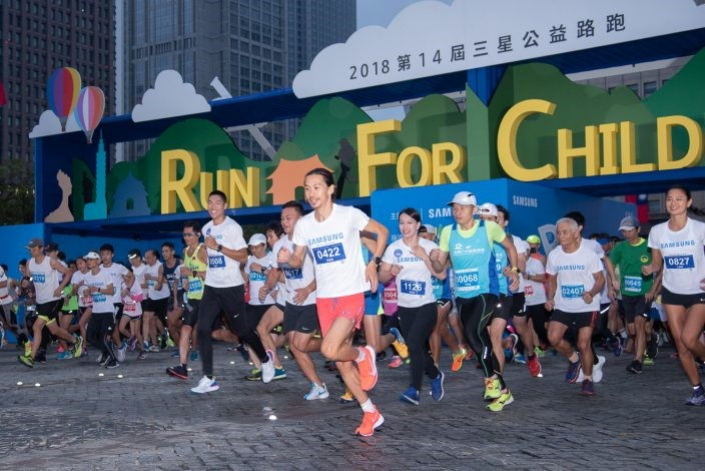 The 14th “Run For Children”, Samsung Electronics Taiwan’s annual charity run event, was held this year on October 14th. 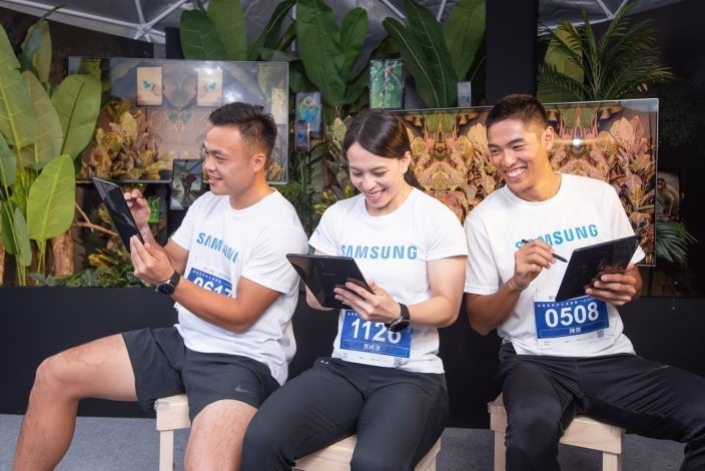 The event saw some 20,000 runners take part in Samsung’s yearly event designed to give back to the local community. Thanks to the registration fees contributed by the runners, a total of NT$ 2.75 million was raised for the Taiwan Fund for Children and Families (TFCF) as part of the STAR UP Scholarships fund dedicated to helping underprivileged children chase their dreams and explore their talent in the fields of sports and the arts. 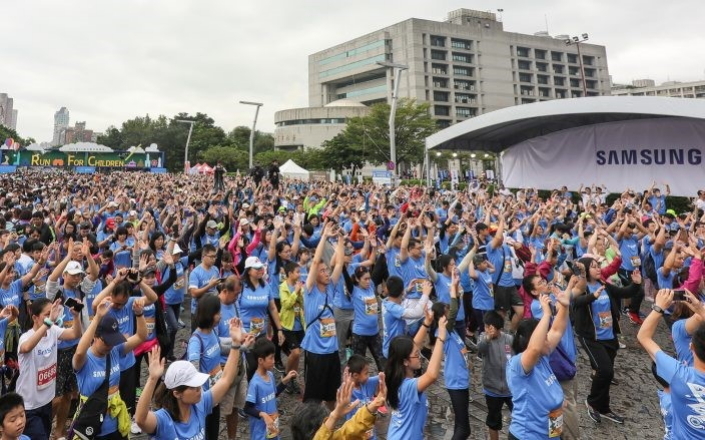 Thanks to year-long support and promotion from the Taipei City Government and Chinese Taipei Road Running Association, the maximum of 20,000 runners was reached well ahead of the registration deadline. This year’s run saw a 9km race added to the original 3km course, attracting many ambitious runners keen to push themselves – all in the name of charity. This year’s event saw all manner of celebrities and local luminaries show up to provide their support to the cause. 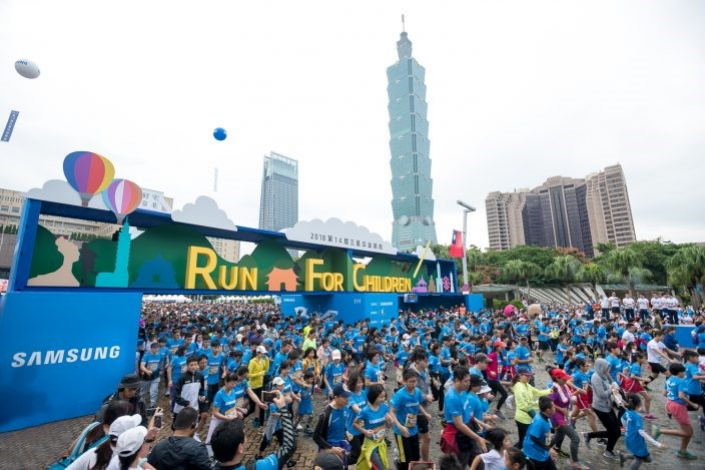 Notable local administration figures including Hao-Lu Wang, Senior Executive Officer of the Public Sports Section, and Zai-Li Li, Commissioner of the Department of Sports, Taipei City Government, were in attendance to cheer for the runners. 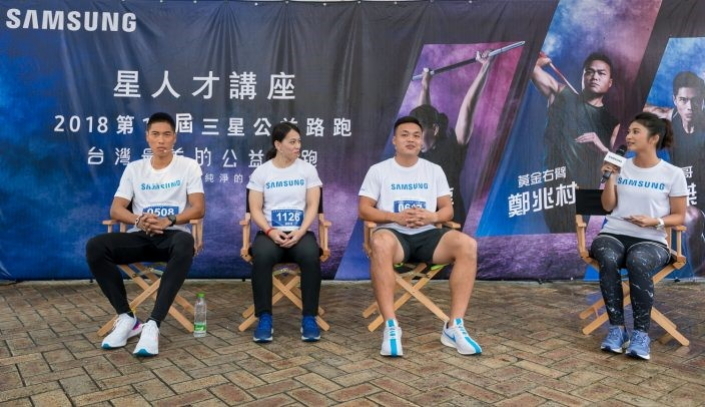 Hsing-Chun Kuo, winner of the gold medal for weightlifting at the Asian Games, and other stars of the athletic world such as former marathon athlete Chia-Che Chang and bodybuilder Melody Wan were also in attendance to take part in the run. Runners were also cheered on by Bravo the Bear, mascot of the 2017 Taipei Universiade. Lifesize cut-outs of the star athletes present were available in the event’s photography area so that visitors and participants alike were able to pose alongside their favorite athletes. Those who attended the charity run were also treated to a dynamic performance on-stage at the run’s hub in front of Taipei City Hall from ‘Best New Artist’ Golden Melody Award nominee J. Sheon, who delighted the audience with his music and the effortless selfies he took with the crowd thanks to the Galaxy Note9 S Pen’s remote control function. 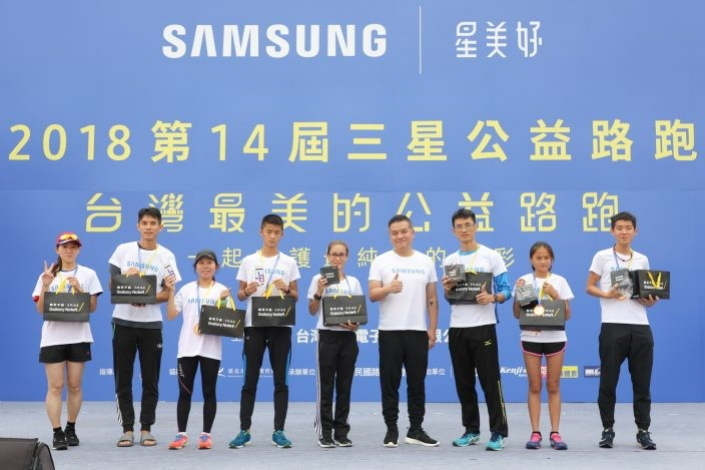 Samsung Taiwan has long promoted the participation of Taiwanese athletes in international competitions. This year, Asian Games participants Hsing-Chun Kuo, Jay Chen, Chao-Tsun Cheng, Tzu-Yun Wen, and Chih-Kai Lee were invited to form a “STAR UP Alliance” to bring visibility to this the athletic and charitable endeavors of the STAR UP scholarship fund. 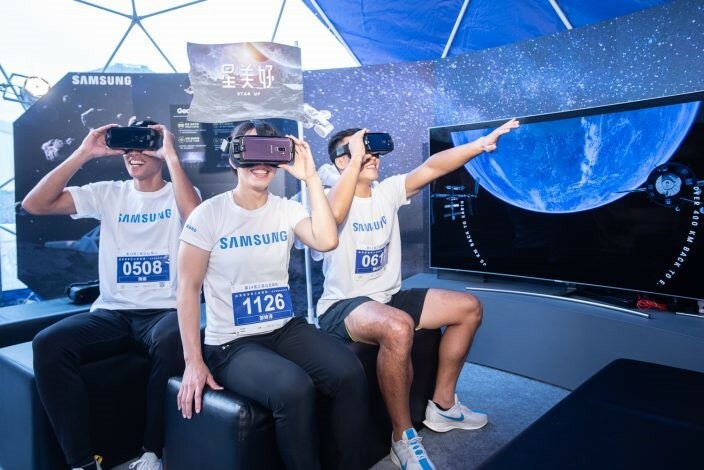 For the benefit of all who attended the charity race, Samsung provided a unique ‘STAR UP Experience Area’ combining their trademark high-tech products like the Galaxy Note 9 and VR Gear with dynamic STAR UP charity program concepts, resulting in an exciting multi-experience space designed to look like a base on the planet Mars. The STAR EDUCATION themed suite featured imaginative creations by Taiwanese designers and children from the Samsung SMART School program. 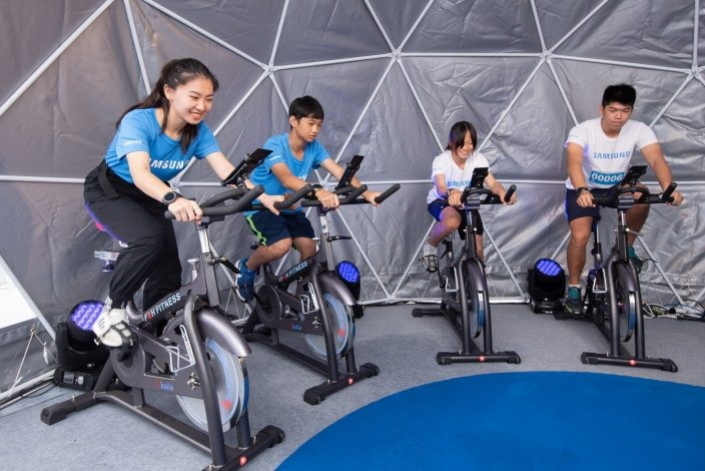 Visitors wishing to prove their physical prowess had a chance to do so in the STAR CULTIVATION experience center, where they could challenge themselves on a flywheel bike while wearing a brand-new Galaxy Watch. The STAR ENVIRONMENT zone had a lush forest feel to it, documenting the eco-craft trail construction process undergone by Samsung volunteers in the Hehuan North Peak area of Taiwan. Visitors could make a lively record of the AKG surround-sound forest experience area, filled with the sounds of chirping birds and insects, with a tablet with S Pen. 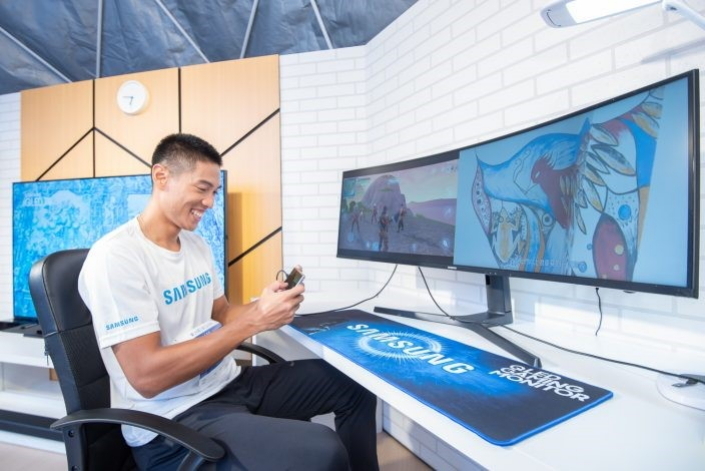 Samsung’s sustainable creativity did not stop with the Experience Area, however as discarded containers were used to create the start line arch for this year’s event and the die-cast medals for the 9km race were created from recycled electronics materials.. While the charity race was indeed the highlight of the day, the festivities did not end with the races’ stopwatch. Following the end of the race, three Asian Games athletes shared their insights and experiences of pushing boundaries in the face of adversity to an enraptured audience. The athletes also presented hand-written notes to each TFCF child who had participated in the run, underscoring the message of the day – to keep chasing your dreams. The registration fees of 2.75 million NTD for this year’s event will be utilized to sponsor 200 students enrolled in local primary, secondary, and tertiary schools. Some of the 200 children already benefiting from the TFCF scheme commenced the race alongside Asian Games professional athletes. 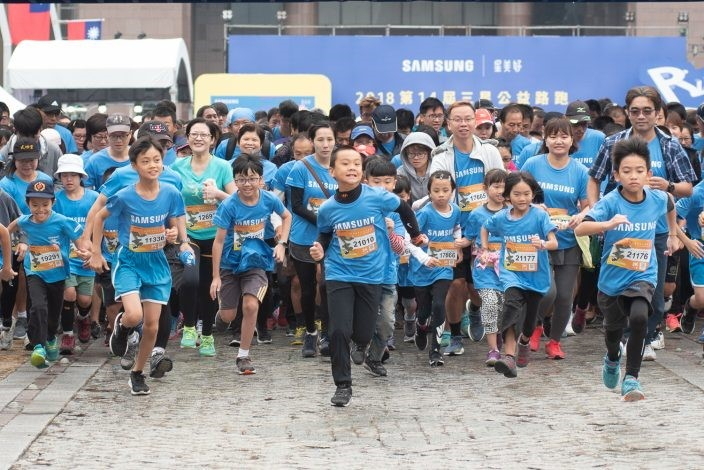 To express gratitude to those who’d participated and contributed to this charitable enterprise, Samsung put on an exciting closing ceremony and a range of prizes for the race’s annual prize-giving. On offer to those who had come out on top of the day’s races were such leading Samsung products as the Galaxy Note9, Galaxy S9+, Galaxy Tab S3, Galaxy Watch and even a 65-inch QLED TV.